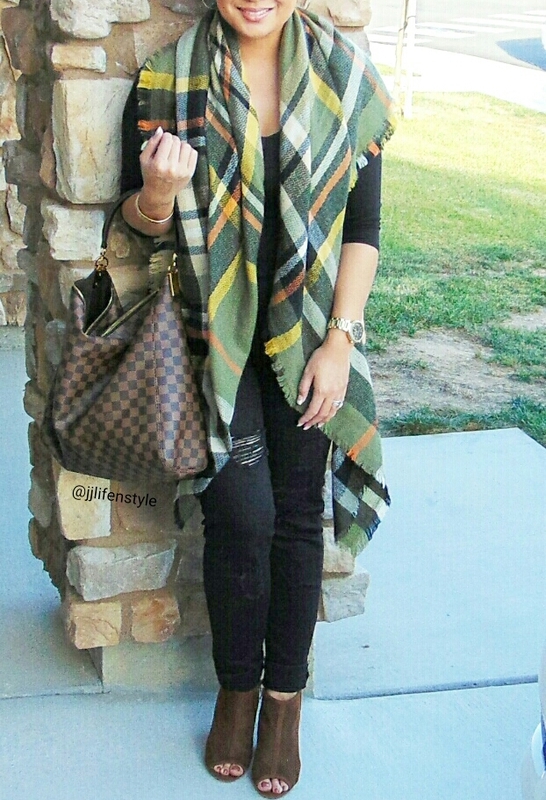 This blanket scarf is my favorite one. As you can see in my pictures, I love me some military green! When I saw this online I had to get it. It will go perfect with anything. I decided to use this scarf to dress up my casual look making the colors of the scarf be my pop of color. You can also use this as a poncho or a jacket. Blanket scarves are the best because you can use it in so many different ways. Get yours today by using my discount code : JJ LIFE N STYLE and receive 10% your purchase. Click the link above to find this scarf.